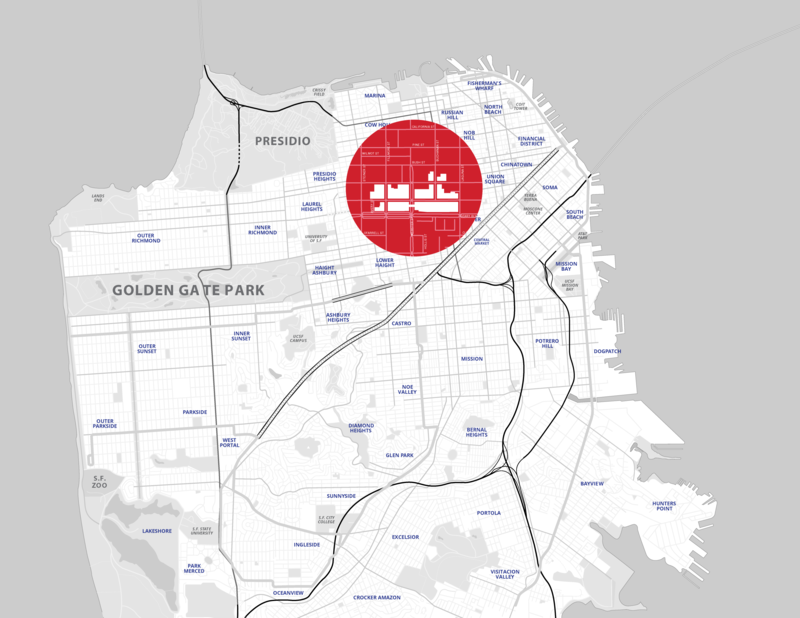 Mayor Lee’s Invest in Neighborhoods initiative provides focused, customized assistance to meet the specific needs of San Francisco’s neighborhood commercial corridors. 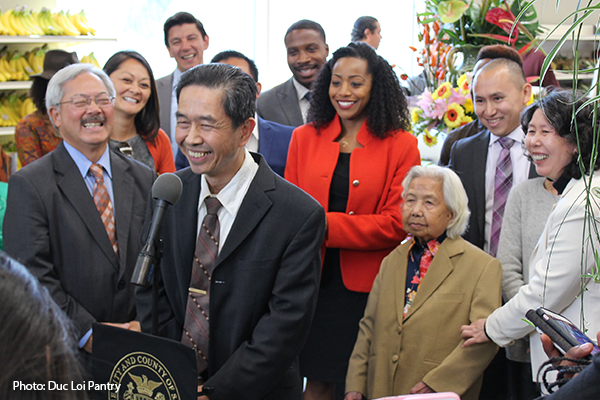 Implemented by the Office of Economic and Workforce Development (OEWD), Mayor Lee’s Invest in Neighborhoods initiative is a plan for jobs and economic opportunity. It provides focused, customized assistance to meet the specific needs of San Francisco’s neighborhood commercial corridors. As part of the initiative, 25 resident serving commercial corridors were selected under a pilot program. 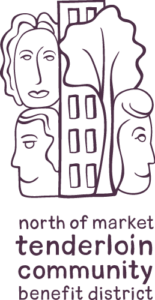 Invest in Neighborhoods aims to strengthen and support neighborhood commercial districts around the City by marshaling and deploying resources from across multiple departments and nonprofit partners. These include economic development services such as loan and grant programs, facade improvement grants for the physical improvement of storefronts, technical and one on one assistance for small businesses, neighborhood improvement grants and consulting services. 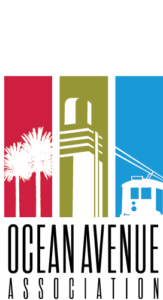 City partners include the Planning Department, Department of Public Works, Municipal Transportation Agency, Department of Public Health, Public Utilities Commission, Arts Commission, and other departments. The City of San Francisco owes much of its appeal to the unique character of its neighborhood commercial districts. Restaurants, retail shops, cafes, bookstores and entertainment and professional outlets that serve local residents and visitors define and strengthen the character and vitality of our neighborhood commercial corridors. Our neighborhoods fuel the economic engine of this City and Invest in Neighborhoods remains focused on strengthening neighborhoods by helping small businesses thrive, increasing people’s quality of life, and building community capacity to preserve and enhance our commercial corridors. Invest in Neighborhoods issues request for proposals (RFP) for projects and programs to strengthen neighborhood commercial districts by implementing neighborhood economic and community improvement projects and providing a variety of technical services related to neighborhood economic development. 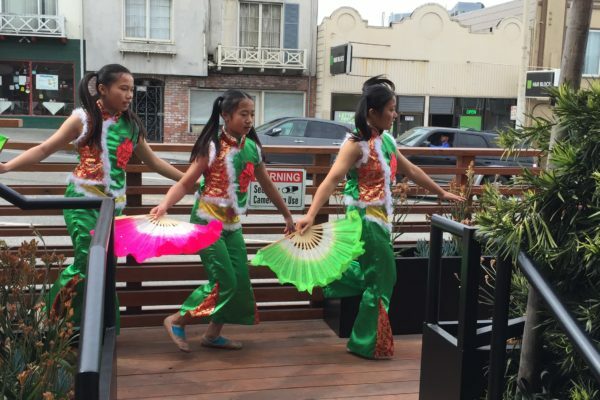 Grants are available to community-based groups and organizations that can implement programs and projects to strengthen San Francisco’s commercial districts, generate economic activity and provided needed neighborhood services. 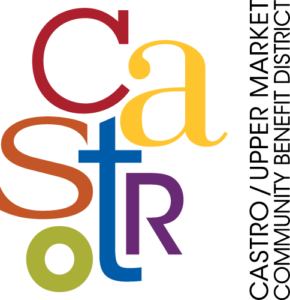 Castro/Upper Market Retail Strategy Implementation – This Project is to implement the Castro/Upper Market Retail Strategy that will help fill commercial vacancies by understanding the preferences and habits of Castro consumers and property owner interests. Bayview Opera House’s Community Tuesdays – This Project activated the Bayview Town Center with family friendly programming activities and supported local businesses. Community Benefit Districts (CBDs) strive to improve the overall quality of life in targeted commercial districts and mixed-use neighborhoods through a partnership between the City and local communities. Once an area has voted to establish a CBD, local property owners are levied a special assessment to fund improvements to their neighborhood. The funds are administered by a non-profit organization established by the neighborhood. 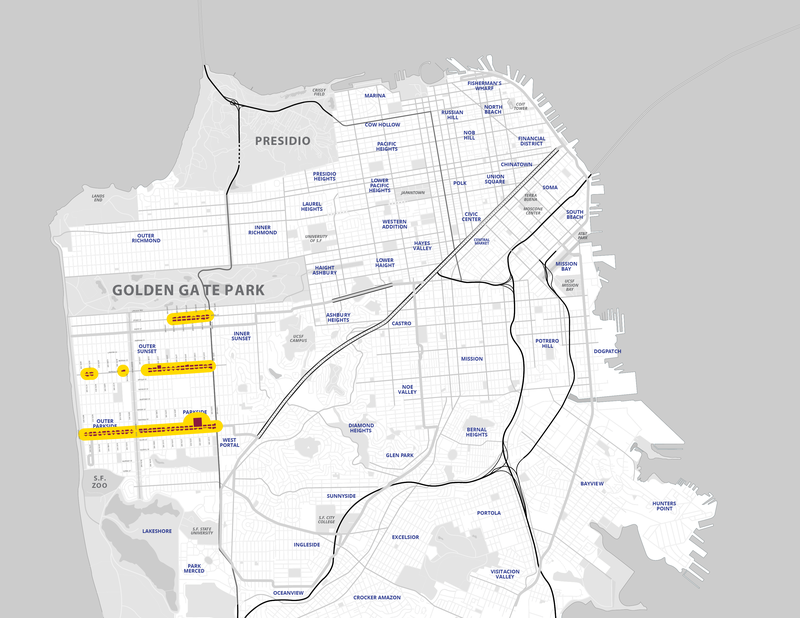 3 Feasibility: Japantown, Middle Polk, Top of Broadway Expansion. 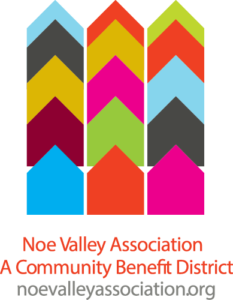 Awarded: over $125,000 in grant dollars to 5 CBDs and 3 neighborhood pursuing new or expanded CBDs. CBDs bring an additional $70 million in assessment revenue from 8,888 parcels. The Neighborhood Asset Activation program targets vacant or underutilized buildings of cultural or historical significance and implements creative short and long-term activation efforts. By providing identified buildings with expanded City services, the cultural and community facilities may again become assets to their surrounding communities. Neighborhood institutions include public and privately owned buildings, such as El Rey Theatre, Geneva Car Barn, Alexandria Theatre, the Avenue Theatre and the Jerry Garcia Amphitheatre, that may benefit from additional leadership, technical expertise and resources. 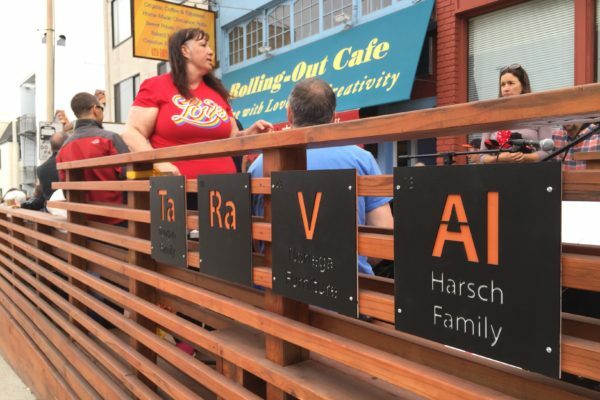 Rolling-Out Café located at 1722 Taraval Street installed a community parklet! Rolling-Out is owned by Bruno Tse and has been in operation since December 2011. 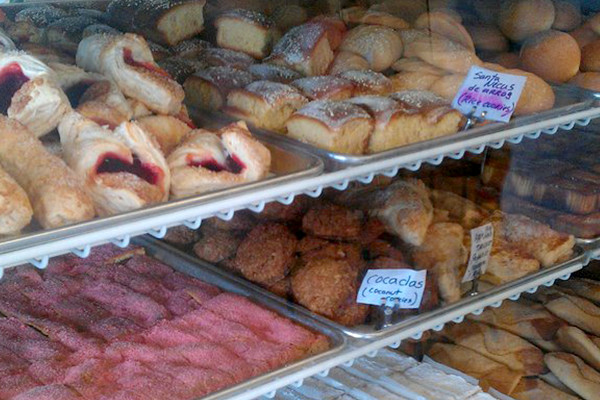 Rolling-Out is a home-style café and bakery serving the Taraval- Parkside Neighborhood. With support of Supervisor Tang, Rolling-Out received an Americans with Disabilities Act (ADA) Certified Access Specialist (CASp) program assistance and $25,000 from Office of Economic and Workforce Development for the design and installation of the parklet. In partnership with Working Solutions and Citi Foundation, $450,000 was provided to develop a Small Business Retention and Relocation Program to provide customized case management, referrals, and technical assistance to small businesses at risk of eviction or losing their lease. The San Francisco Small Business Development Center (SFSBDC) is a program of the Office of Economic and Workforce Development helping individuals manage and grow their businesses in San Francisco. SBDC provides free and low-cost confidential one-on-one customized consulting services and training workshops in English, Spanish, Mandarin and Cantonese to existing small businesses and those seeking to grow. SBDC’s team of professional consultants provide coaching in a variety of industries such as restaurant and specialty food service, fashion retail and manufacturing, wholesale, technology and social media, government contracting, and others. SFSBDC served 402 unique clients and provided 1,832.73 hours of customized one-on-one business consulting. Additionally, the SFSBDC facilitated 50 workshops and trained a total of 594 workshop participants; topics included, but were not limited to: marketing, sales, access to capital, financial management, social media, and QuickBooks training. Thanks to these services, clients reported $19,637,291 in access to capital, 221 jobs created, and $9,281,426 in increased sales. OEWD and partners offer a variety of loan programs to entrepreneurs seeking to launch, expand or stabilize their business. We’ve provided 124 loans totaling 12 million dollars to San Francisco businesses through our Revolving Loan Fund, Emerging Business Loan Fund and our Community Development Block Grant funded groups. 462 jobs have been saved and created by small businesses. Revolving Loan Fund: 11 loans totaling $303,310. Emerging Business Loan Fund: 26 loans for for mid-range needs of industrial, retail and restaurants totaling $3.5 million. Community Development Block Grant (CDBG): 87 loans through our CDBG funded groups totaling $8.26 million. 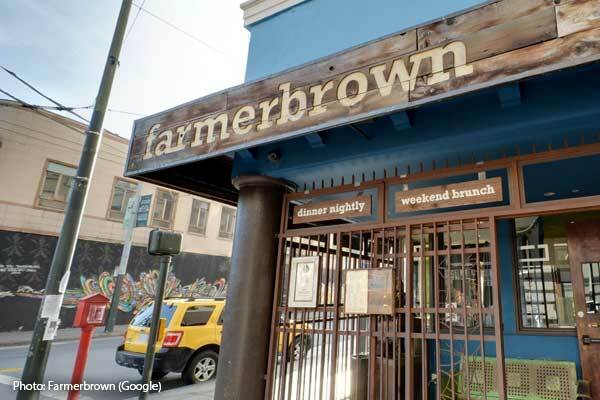 OEWD provides grants, design assistance and project management though the SF Shines program to assist small businesses with expenses for ground floor storefront façade upgrades and interiors. 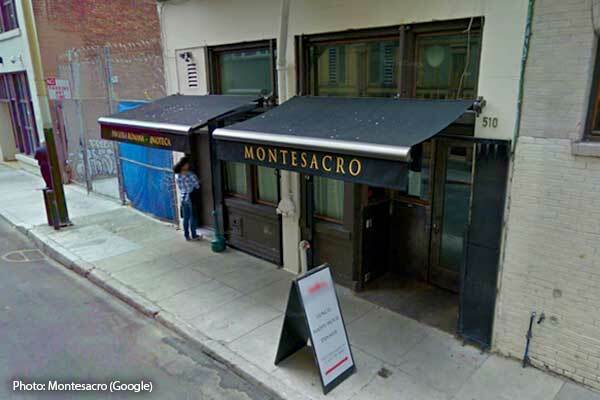 Matching grants were provided in select commercial districts to upgrade storefront façades and interiors. Twelve small businesses received grants for façade & tenant improvement projects in fiscal year 2015-2016. The Americans with Disabilities Act (ADA) Certified Access Specialist (CASp) Small Business Assessment Program provides information to small businesses citywide about ADA compliance and provides eligible businesses with an ADA assessment report and plan for compliance with ADA law. We provided 161 free CASp inspections to help small businesses meet ADA requirements. Helped businesses implement the recommendations in the assessments including partnering with a contractor to install ADA signs, widen aisles to accommodate customers, bring bathrooms up to ADA standards, and provide accessible entryways. Healthy Retail San Francisco (HRSF) is a unique public-private collaboration to transform neighborhood corner stores into healthy-food retailers in San Francisco’s “food swamp” communities. 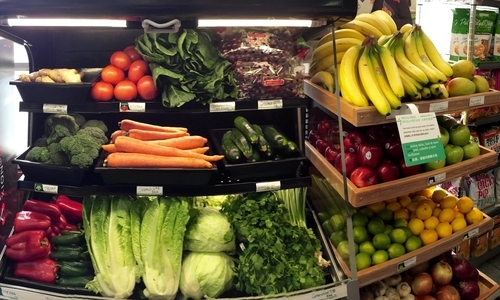 Housed in San Francisco’s Office of Economic and Workforce Development and staffed in partnership with the Department of Public Health, Healthy Retail SF redesigns corner stores to support the sale of fresh vegetables, fruits, whole grains, and other healthy staple products. 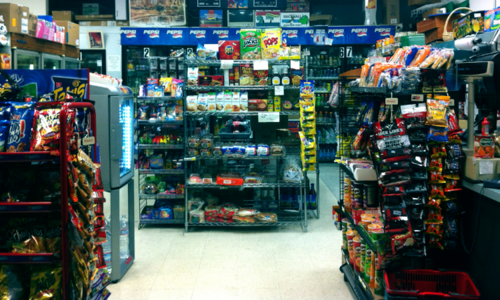 Store owners benefit from store redesign, individualized consultation with business operations and marketing. 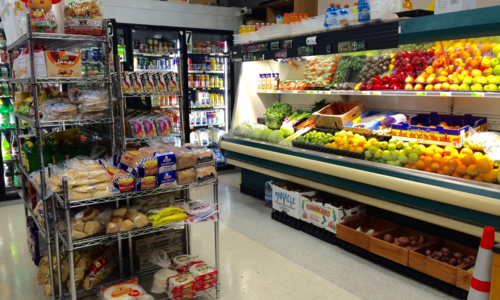 Residents benefit by being able to shop for healthy food in their neighborhoods. 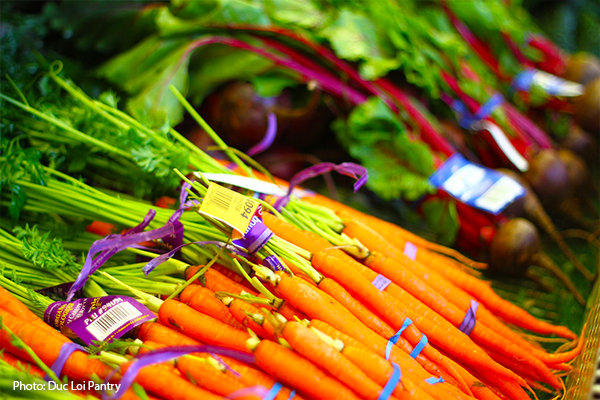 Using a community empowerment approach, the program works to increase access to healthy food and decrease access and exposure to unhealthy products. 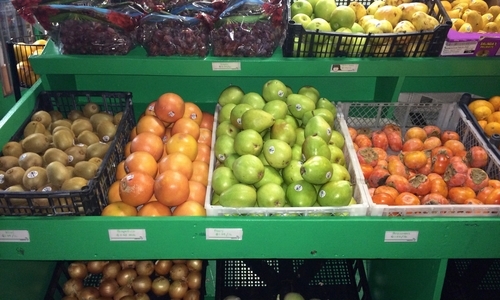 HRSF has helped 9 corners stores in Tenderloin, Bayview, and the Ocean-Merced-Ingleside neighborhoods On average corner stores are reporting a 25%+ increase in overall sales and selling an average of 11,000 produce units per month. 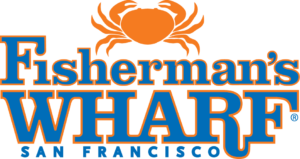 Corner stores Dalda’s, and in the Tenderloin neighborhood, Ana’s in the OMI and Friendly’s Market in the Bayview have participated in HRSF. When a disaster occurs, the Office of Economic and Workforce Development works with individual businesses to determine what resources they might need by doing an assessment. This assessment includes assistance is procuring City permits and licenses, assistance with employee needs and access to capital. Furthermore, OEWD works closely with other city departments to coordinate and connect recovery response between impacted businesses and city departments. In partnership with Mission Economic Development Agency (MEDA), Invest in Neighborhoods provides grants up to $10k. Pacitas Bakery is a bakery located at 10 Persia Ave in the Excelsior District. Pacitas is owned by Maria Paz Rodriguez and has been in operation since 2000. 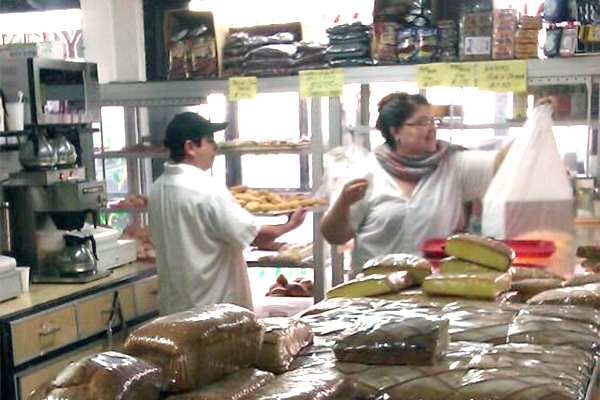 Pacitas Bakery is well known in the Excelsior for its guava cookies, cakes and long list of Salvadorian sweets. OEWD provides funding to the Excelsior Action Group (EAG), who provided marketing technical assistance and support. 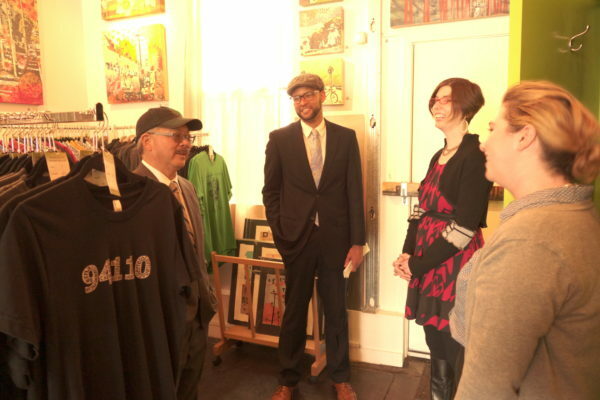 EAG is a community organization that connects Excelsior small businesses technical assistance providers and city resources and help lead community driven commercial improvement efforts. 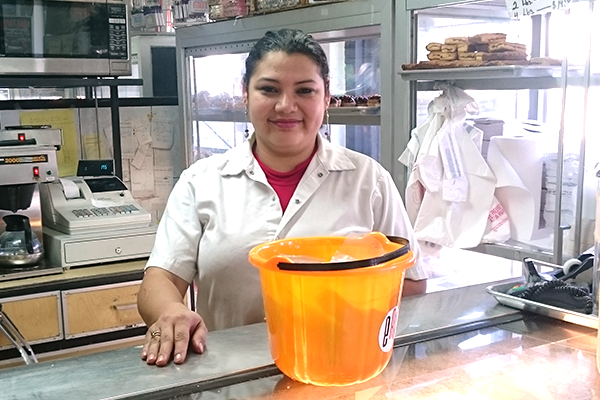 Small businesses like Pacitas Bakery benefit from OEWD’s funding to neighborhood organizations that provide direct assistance and support. 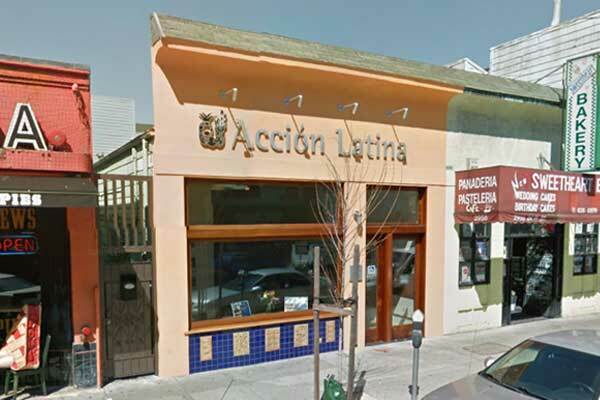 Secession Art is owned by Eden Stein and located at 3235 Mission Street in the micro-hood of Mission-Bernal. Secession Art & Design opened its doors in 2007 and grown to represent over 50 independent artists and designers. Secession Art and Design’s retail space serves as a gallery, boutique, and workspace combined; creating an untraditional storefront that allows customers to experience curated shows by owner and see the process of art and jewelry being made in-house. In 2010, 2012 and 2013 Secession was awarded Best Art Gallery by San Francisco Bay Guardian readers, for continuing to push the envelope in exhibitions and wearable art. Secession Art and Design has taken advantage of the Lease Strengthening program offered in partnership with Legal Services for Entrepreneurs and secured a low interest loan from the Revolving Loan Fund. 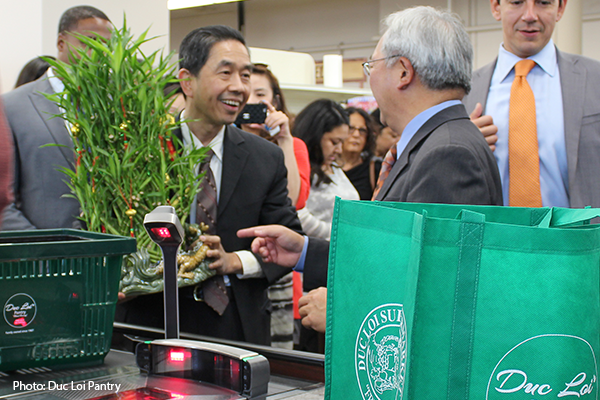 Duc Loi’s Pantry, family-owned and operated by Howard and Amanda Ngo family, is located at 5900 Third Street in the Bayview, one of our city’s most diverse neighborhood-serving corridors. Duc Loi’s Pantry is the Ngo family’s second location after successfully operating Duc Loi Supermarket at Mission and 18th since 1987. 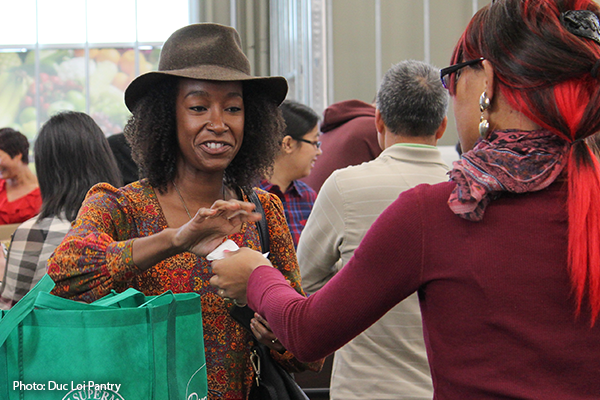 The opening of Duc Loi Pantry in October 2016 in the Bayview means that local residents will have access to fresh food and healthier food options, which has been a challenge since Fresh and Easy closed its doors more than two years ago. 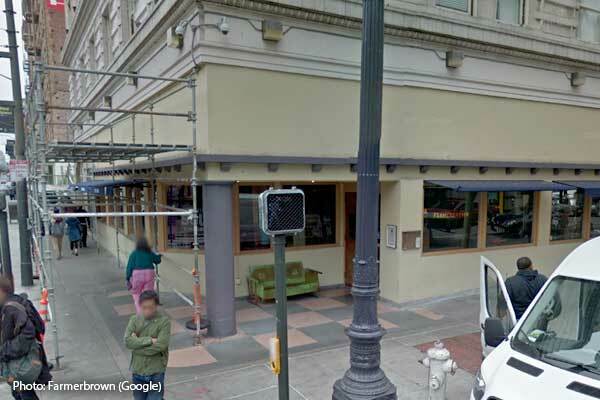 Mayor Lee, Supervisor Cohen’s office, and the Office of Economic and Workforce Development (OEWD) worked closely with Sansome Pacific Properties, the former property owner, to ensure that the vacancy be filled with a community serving business. 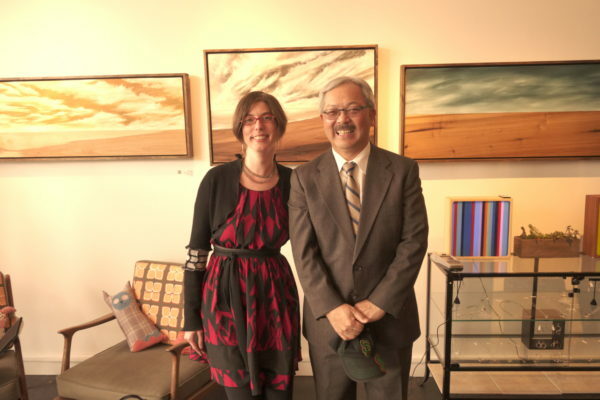 Duc Loi received a suite of services and resources through the Office of Economic and Workforce Development (OEWD) including: The First Source hiring program, the San Francisco Small Business Development Center (SFSBDC), and from the SF Shines Facade and Tenant Improvement Program. The First Source hiring program, which provides staffing services to organizations of all sizes, helped Duc Loi recruit and hire qualified local residents. Services ranged from drafting open job descriptions to promoting jobs including conducting outreach and recruitment to potential job seekers. 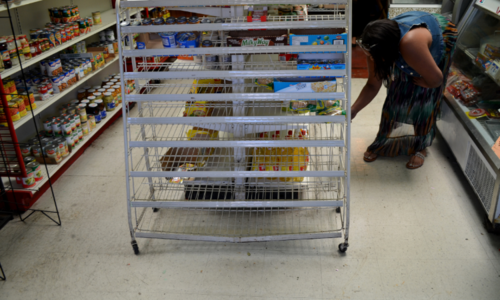 As a result, Duc Loi’s Pantry hired 16 new employees, including seven Bayview residents. 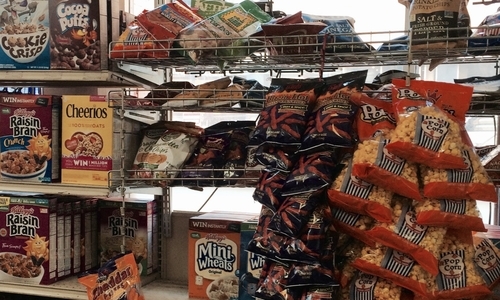 Duc Loi’s Pantry was also paired with a business consultant to help secure a loan of $4.1 million from the Small Business Administration (SBA) to work through the business planning and development, expansion, and permitting process. The funding also allowed for the owners to acquire the site at 5900 3rd Street and build out the 14,000 sq. ft. space. Additionally, Duc Loi’s Pantry was able to access a $250,000 SF Shines grant through OEWD’s Invest In Neighborhoods Initiative, a business attraction incentive that offers grocery operators and small storefront businesses pay for interior and exterior improvements in select neighborhoods including the Bayview. “We are grateful to our community and City partners for all the support they’ve provided to make this vision a reality, and we are looking forward to serving our neighborhood and local residents for many years to come.” said Howard Ngo, owner of Duc Loi’s Pantry. The main attraction in Japantown is the Japan Center which opened in 1968 and is the site of three Japanese-oriented shopping centers and the Peace Pagoda. The area was once home to the largest settlement of Japanese immigrants, however, the population diminished due to internment in 1942 and urban renewal from the 1950s-1980s. 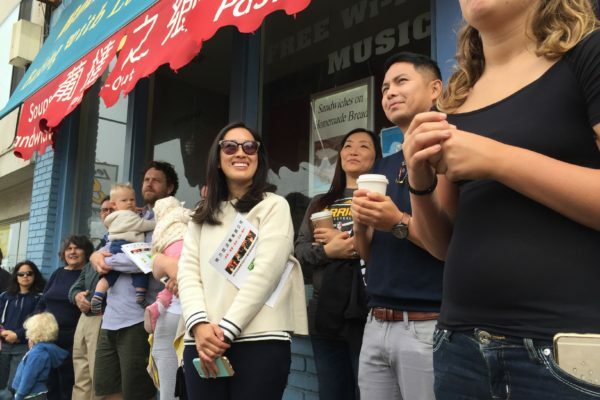 Today, thanks to preservation and revitalization efforts, Japantown remains a cultural and social center for Japanese Americans and Japanese nationals living throughout the Bay area. It is replete with restaurants, supermarkets, indoor shopping malls, hotels, banks and other shops including one of the few U.S. branches of the Kinokuniya bookstore chain. Festivals such as the Northern California Cherry Blossom Festival and the Nihonmachi Street Fair are held annually attracting thousands of people. 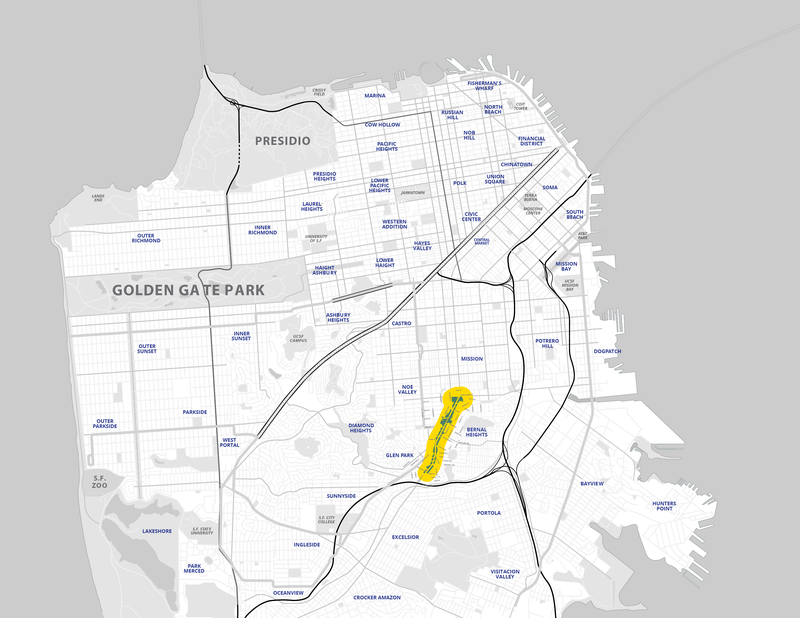 The Mission Street corridor, from Cesar Chavez Street to the College Hill Neighborhood, is a thriving district south of the Mission and just west of Bernal Heights. Anchored by neighborhood servicing businesses and some larger retailers, this active corridor features a mix of locally-owned bars, cafes, specialty shops, and service providers. Although there are some destination businesses and well-regarded restaurants that attract visitors from around the City, it remains a district patronized primarily by local residents. College Hill is known for its Central American food establishments and businesses predominantly owned by and serving Mexican and Central American families. 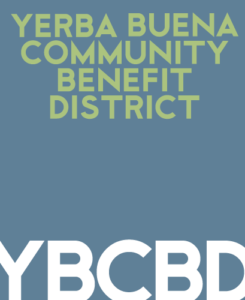 Merchants have formed the Mission-Bernal Merchants Association (MBMA) to advocate for the small business needs in the neighborhood and The College Hill Neighborhood Association (CHNA) is an active neighborhood association working to promote a clean, safe and green corridor. Capacity Building – Working with Neighborhood Merchants to provide the needed support to form their organizing and have the tools needed to build a sustainable organization. City Investment Coordination – Partnering with the SF Municipal Transportation Agency, SF Public Utilities Commission, City Planning, Department of Public Works, and community partners to coordinate public investments, such as the Mission-Valencia Plaza and Gateway, repaving of Mission Street, Mission Street Public Life Plan, and Muni Forward implementation. Increase Small Business Services – Increasing access to small business programs offered by the City and City partners, such as lease assistance, access to capital, and increased technical assistance. Outer Irving, between 19th and 27th Avenues, is a highly residential, middle class neighborhood that has become an ethnic enclave over the last several decades attracting young families and diverse populations, while retaining many long-time residents. This commercial district is a growing retail district with diverse and multi-ethnic food offerings, including Japanese, Middle Eastern, Indian, Thai, Korean, Irish, Mexican and Chinese restaurants. 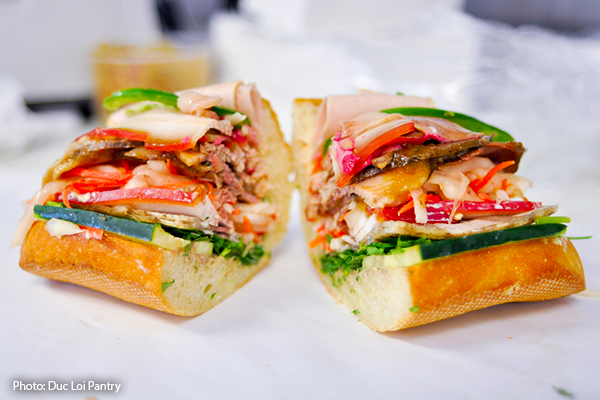 Irving is a destination for locals, students and foodies on the hunt for good and cheap eats. The Taraval commercial district—Taraval Street from 19th Avenue to 48th Avenue—features several nodes of active retail activity broken up by residential and office uses. The corridor features local-serving retail, service businesses, and affordable cafés and restaurants. Taraval is a large, diverse commercial corridor with approximately 205 businesses and not a high level of daytime foot traffic. The corridor features a high number of eating and drinking places, with opportunities for growth in jewelry, leather goods, books, and music stores. Noriega Street from 19th to 47th Avenue is a distinctive commercial corridor that meets the needs and is reflective of the diverse surrounding population. The section from 19th to 33rd features Chinese groceries, popular restaurants, bakeries, financial institutions and other neighborhood serving retail. The section from 45th to 47th is a favorite among surfers and beach-goers due to its proximity to Ocean Beach. These two blocks are an enclave of boutiques, with a popular custom board shop, a bakery, a produce market, a pet supply store, a pizza parlor, and a taqueria. Noriega is developing into a destination for shopping and dining for young urban professionals and visitors alike. For decades, Central Market suffered from some of the highest commercial and storefront vacancy rates in the City and stubbornly resisted attempts at revitalization. Today, Central Market is at the center of new job creation, housing production and the arts in San Francisco, bringing millions of dollars in new revenue to fund vital City services. The area is now home to 15 new arts venues, such as American Conservatory Theater’s Strand Theater and the new CounterPulse theater opening on Turk Street next month. Ten of these arts organizations were relocated from at risk real estate to a new Central Market/Tenderloin location so they could secure a long-term home. 826 Valencia, a nonprofit organization that serves children through tutoring and writing, also opened its doors on in the Tenderloin. 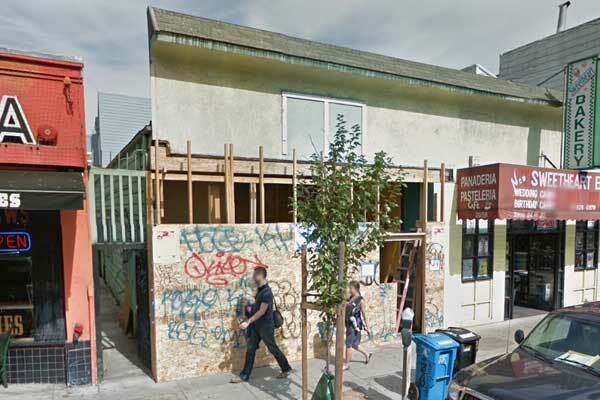 This public-private revitalization effort has been a nationally-recognized success, and the investment is bringing long-desired improvements to the Tenderloin. 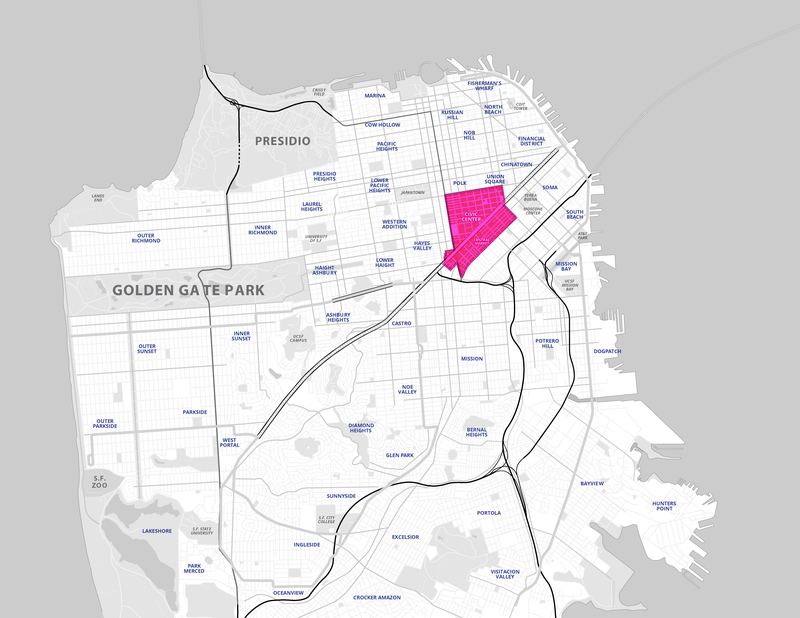 To sustain this effort, the Mayor launched the Central Market/Tenderloin Strategy in 2015. The community driven Strategy offers an evolving roadmap focused on ensuring that area residents benefit from cleaner and safer streets, quality businesses, recreation and educational opportunities, jobs, and much more. The Strategy identifies nine “Action Zones” along Central Market, Sixth Street and throughout the Tenderloin and designates a set of near-term public and private activities to build a healthy and inclusive neighborhood that supports longtime residents, small businesses, nonprofits and arts organizations as the transformation of Central Market continues. Data from 2011 to 2015. *The Study Area realized $40 million in additional taxable sales and saw a 17% increase in sales tax from 2010 to 2014. 10,000 new jobs (44,000 employees in 2011 to 54,000 in 2013). 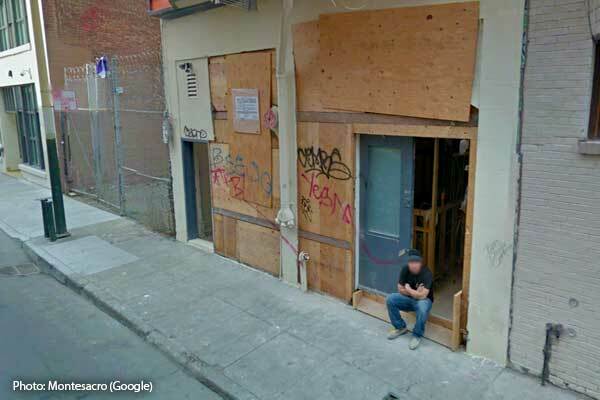 Employment growth in Central Market/Tenderloin remains more than double the City growth rates. The Controller’s Office found that between 2010-2013 the City generated $7.1 million more in payroll tax revenue in the Central Market area than it would have if the area had grown at the same rate as the rest of the City, reflecting a greater-than-average rate of business and job growth in the area. Property tax contributions have increased by 13 percent, compared to 9 percent for the City overall. Whereas in 2010 the property transfer tax in the neighborhood yielded $20,000, since 2011 transfer tax has generated $8.4 million in revenues for City services. From 2011 to 2013, vacancy dropped from 22% to 2%, compared to 16% to 8% citywide. 5,600 units are under construction or approved. This is approximately 20% of City’s housing pipeline. 20% of pipeline is permanently affordable, equating to 1,100 new affordable units. Public investment in the neighborhood has increased in line with new revenue with new open spaces, streetscape improvements, and art investments. Six newly-arrived companies with community benefit agreements have made substantial philanthropic contributions to the neighborhood and community.